Physical Education (PE) contributes to the overall education of all children by helping them to lead full and valuable lives through engagement in purposeful and high-quality activity. It promotes active and healthy lifestyles, physical skills, physical development and knowledge of the body in action. 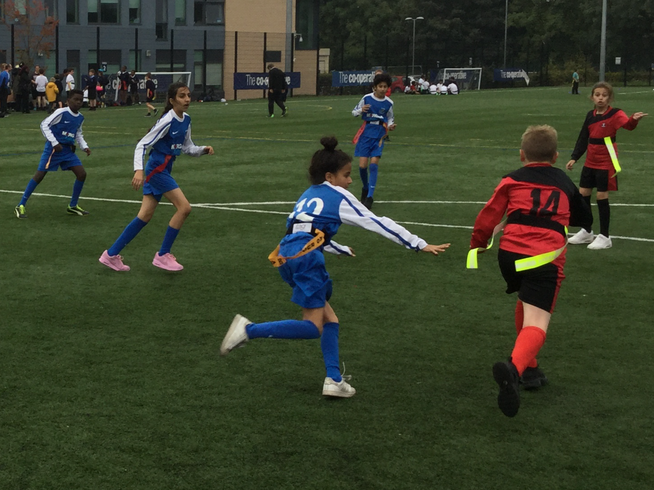 PE enables children to learn confidence, perseverance, team spirit, positive competitiveness and organisation. 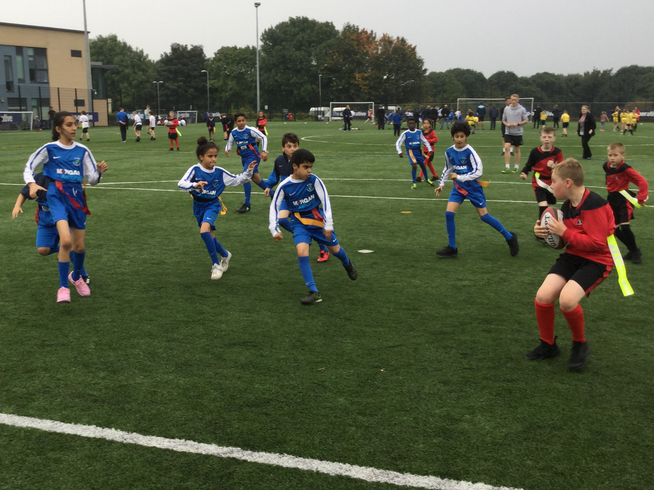 Children will engage in a programme of PE that encourages fitness, improves their strength and teaches them the rules of games. 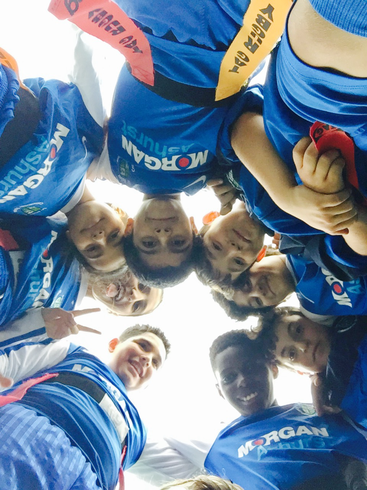 It enables all children in the school to gain a sense of achievement and develop positive attitudes towards themselves and others. The following are our expectations in all PE lessons to ensure pupils participate in fun, engaging and safe activities. Suitable school PE kit should be worn for each lesson. 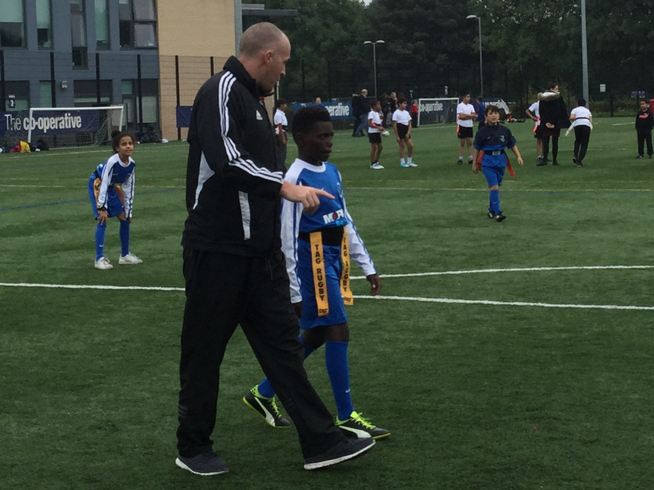 If school kit is not provided, children will still participate in the lesson unless school uniform is not appropriate for the activity - children will then undertake coaching or officiating roles. Head scarves should be tightly secured or removed for PE. A specialist, tight-fitting head scarf can be a suitable alternative. All children with verrucas should wear pumps. Every child must have a school PE kit. They should bring it into school at the beginning of a half term and take it home at the end of a half term for cleaning. All of the above items can be affordably purchased at Sports Direct, Primark, Tescos or online at such outlets as MM Direct. 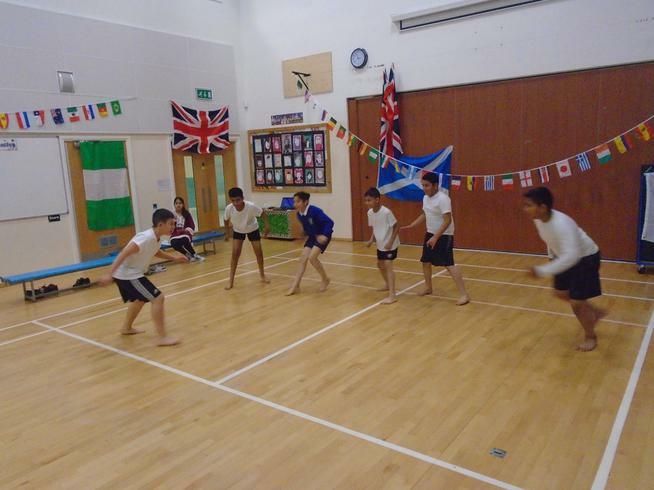 As part of our recent Multi-cultural Day, children in years 5 and 6 participated in a series of "Kabaddi" matches. Kabaddi is a popular game in Asia, especially in Pakistan and India but the recent World Cup shows its popularity is growing worldwide. 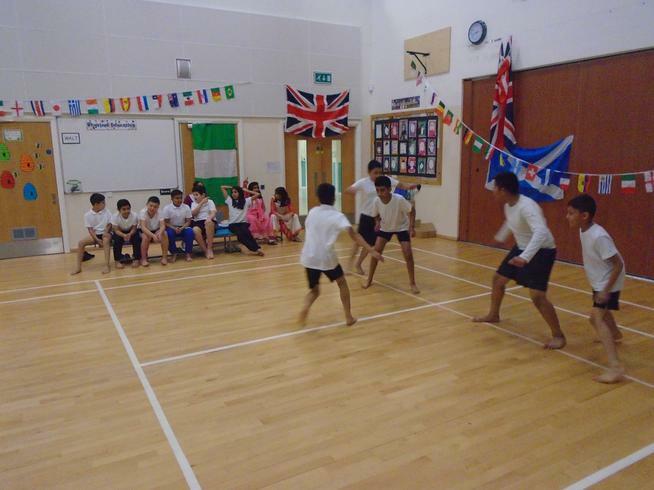 How do you play Kabaddi? Kabaddi is a team game. Two teams, each having 7 in court players, compete with each other to get higher scores. Individual brilliance is exhibited when a player raids the opponent’s court. The team spirit, the team togetherness and team strategy comes into play when an opponent raider enters your court. The most important player requirement is stamina and lungpower. You should be able to keep your breath for a long time without any break in between. From your team you have to send, one player to the other teams court to raid. The raider starts from the centerline uttering aloud, “Kabaddi, Kabaddi, Kabaddi…” without any break. He would be actually running from one side to the other side of the opponent’s court trying to touch either with his hand or leg an opponent. Once he touches an opponent, he will, without breaking the “Kabaddi, Kabaddi…” rhythm come back to his court through the centerline. The people he had touched are his teams point scored. If he had touched one player, it is 1 point and if he had touched 3 players, it is 3 points to your team. Through out the day, teams played with great courage and determination but also with a sense of fair play. 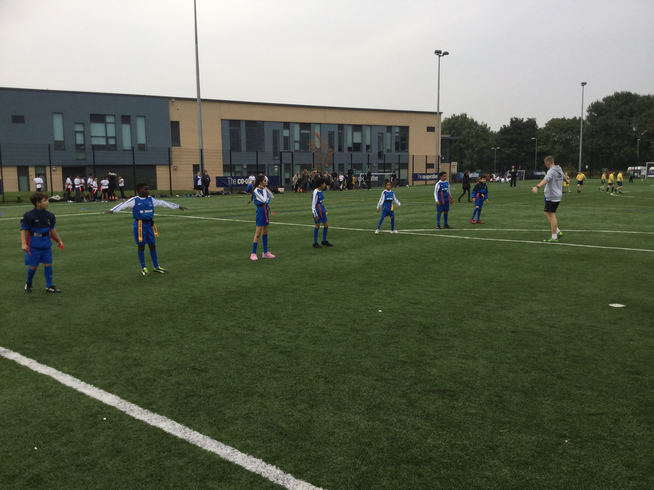 All the teams were a credit to their teachers. Well done everyone!